Equipped for your outdoor adventure? The Convey Tour HS Hooded Jacket Men protects you from any weather conditions with its high-quality, lightweight and extremely compressible Gore-Tex® 2.5-layer material, which makes the jacket not only wind- and waterproof but also breathable. 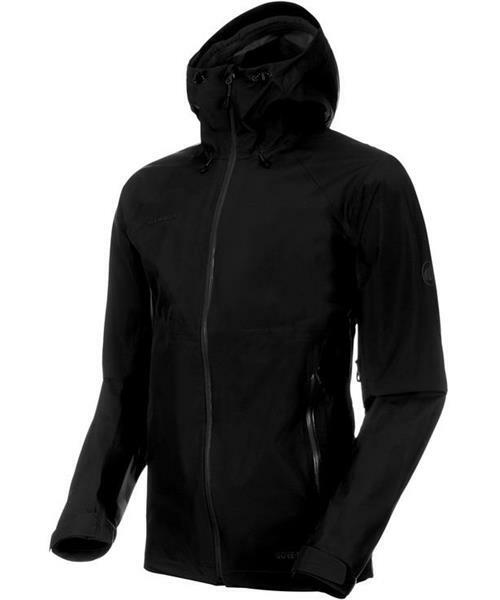 You can adapt the jacket to your needs thanks to hook and loop fasteners at the cuffs and the adjustable hem. Able to cope with any hiking weather: thanks to Mammut Easy Combine, you can combine the jacket with other products to give you comprehensive weather protection.